Have a look at what I've been up to recently and what's in the pipeline. OXFORD ART SOCIETY Members’ exhibition. I’m thrilled to have three of my prints selected for the Members’ exhibition in Woodstock. It’s on until 28th April 2019. And to kick off the new year, some very good news. I have been invited to become a member of the Oxford Art Society and recently attended a lovely gathering at Browns Oxford for new members to meet the committee and each other. What a great way to start the year! 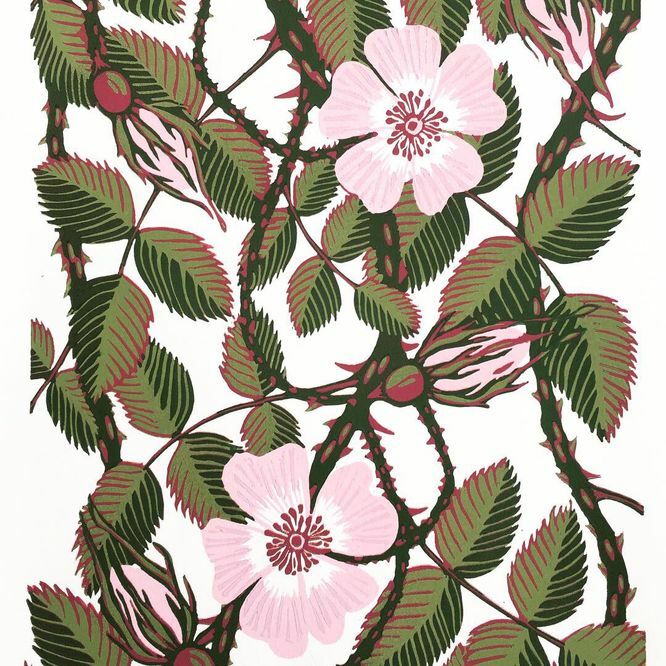 Yesterday I spent a lovely day at Ardington Arts and Crafts centre learning some new linocut techniques with Beth Jenkins, lots of new ideas to try out at home. 2018 was the first year that I exhibited at the Thame Art Crawl. My pop-up exhibition was at the Bell Kitchen Design Studio. We had quite a few visitors and it was a good opportunity to show off my work. Oxford Art Society Open Exhibition Success! 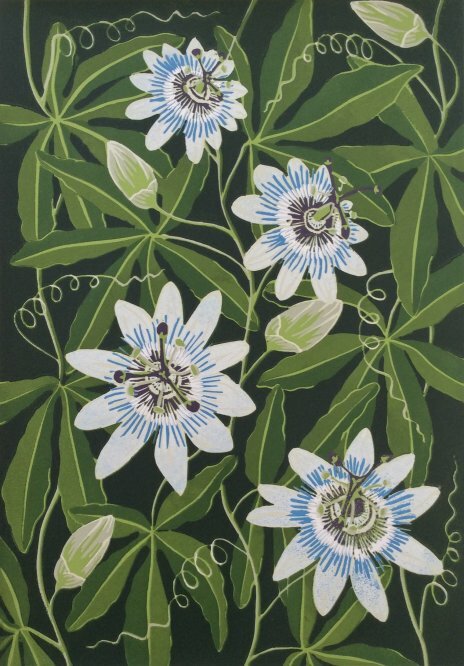 September 2018 also saw two of my linocuts being accepted into the Oxford Art Society Open exhibition: Christmas in the Covered Market and Honeysuckle in the shadows. Sept 2018 The Oxford Art Book launch at Blackwells was a great success, my print Christmas in the Covered Market was selected to be included. This weekend 24th and 25th March 2018 it’s Art on the Hill at Brill Oxfordshire and I’m pleased to be displaying quite a few prints, framed and unframed. Lots of other artists affordable work on display there and refreshments too! I had a very successful time at AOTH with quite a few sales and even a possible commission! 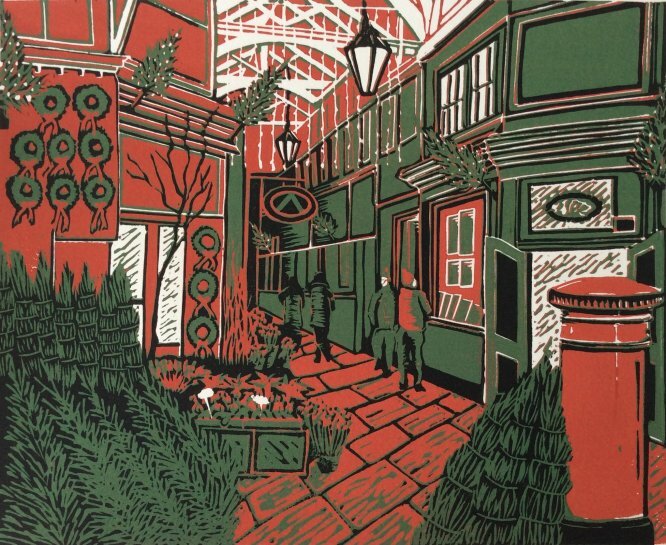 I’m very happy as today I received an email saying that my linocut Covered Market at Christmas has been selected for inclusion in the Oxford Art Book which will be published later this year. I submitted three images in December and this one was chosen which was a surprise as I though it was the least likely candidate. There are still stages to go through as the image needs to be consistent with the final look of the book (so it may yet be thrown out) but I’m happy to be selected thus far. I'm currently preparing works to exhibit at the Watlington Art Show, this is very exciting for me as it's my local show and also my first time entering. I am thrilled to have two of my Linocuts selected for the OAS Open Exhibition. The exhibition take place from now until 1st October 2017 at the Cloister Gallery, Iffley Road, Oxford. Very pleased to have successfully dropped off all my prints and cards at the exhibition this morning. I can't wait to visit later in the week and have a look at them displayed.